San Diego is one of the most dog-friendly cities in America, with four-legged family members welcome on beaches and hiking trails and even in many bars and restaurants. Still, many San Diego HOAs and condo associations place pet restrictions on their properties, especially for large-breed dogs. These dog restrictions can limit the number, breed, and weight of dogs allowed in a home, and can even ban dogs or other pets from a property altogether. Breeds sometimes found on the “dangerous breed list” include Rottweilers, German Shepherds, Akitas, Siberian Huskies, Alaskan Malamutes, Chow Chows, Doberman Pinschers, Great Dane, St. Bernards, and pit bulls (a catch-all term that includes American Pit Bull Terriers, American Staffordshire Terriers, American Bullies, and Staffordshire Bull Terriers). These breeds in some cases are completely banned from many apartment buildings, townhomes, and condos in San Diego. 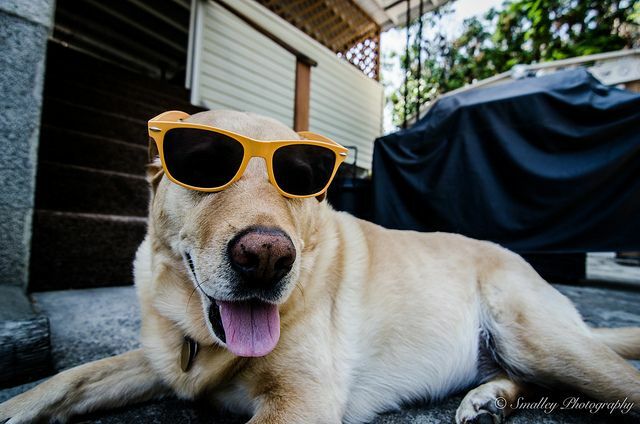 So what should you do if you need your San Diego dream home to be dog-friendly? First, let your San Diego realtor or San Diego exclusive buyer’s agent know that you need to find a property that accepts dogs. Many properties do not list their specific pet policies on their website, so your agent will need to contact each HOA or property manager directly to see whether your particular dog will be accepted. Your history as a dog owner - how you obey local and state dog laws, how you take care of your dog, etc. References from former landlords are great to include here! How long you’ve owned this particular dog. How old is your dog? Is he house-broken? Has he taken any kind of obedience or training classes or had any kind of behavior testing to see if he is good with kids, other animals, etc.? A letter from your trainer, if applicable, is a good idea here. Is your dog healthy? A letter from your vet providing the status of your dog’s health, shot record, and spay/neuter status is very helpful. Finally, sell it a little bit! Tell them why your dog is so special. What does he like to do for fun? What is his favorite toy or treat? Remember, you want your dog to be recognized as an important part of your family! Finally, make sure that dog-related incidents and injuries, like dog bites, are covered in your homeowner’s insurance policy (or your renter’s insurance policy, for that matter!). In California, pet owners are typically liable for any damages caused by their pet, so even if your dog has never had a problem, it’s best to protect yourself against the worst-case scenario. San Diego is a great place for you AND your dog, and even if you’re looking at buying an apartment or condo in San Diego, it’s definitely possible to find the perfect home for both of you. Contact me today to start your search for a dog-friendly property in San Diego!